NIV -- Now the whole world had one language and a common speech. KJV -- And the whole earth was of one language, and of one speech. LXX -- And all the earth was one lip, and there was one language to all. Hebrew -- And was all the earth of lip one: and of speech one. This is probably the only verse in this particular passage/story which is not argued about. And it also makes good sense that after the Ark, and the one family that survived, their language would be the universal language of the time. The distinct possibility is that this original language was either paleo-Hebrew or a form of early Hebrew. If the Tablet Hypothesis is correct, then that is the language Adam's tablet was written in and people understood it up to the time of Moses when he collated the tablets into Genesis as we know it. Even if the Tablet Hypothesis is not correct, the story of creation would have to be remembered in some language that was later also understood. However, given the confusion of languages at Babel, if the material were not written down to begin with, it would be highly questionable how it survived the Babel crisis. NIV -- As men moved eastward, they found a plain in Shinar and settled there. We think the NIV is different because the translators assumed the Ark landed on Mt. Ararat in Turkey and then the migration was down into Mesopotamia. We do not believe this is correct, as we will explain in a moment. Where was Shinar? This becomes crucial to not only this part of the story but to other passages in the Bible as well. There are three options for the location of Shinar. 2. Another possibility for Shinar is near the Base of Mt. Ararat. Allen Roberts is a good friend of ours and was one of the people kidnapped in one of the Ararat expeditions in 1991. On a separate occasion he was on an expedition in Turkey, and their time (their Visas) was running out, so they were in a hurry. The route they were taking brought them south of Diyarbakir. As they travelled this route, there was a small village they came to on the edge of a large plain which stretched to the horizon. On this plain they could see the ruins of a number of ziggurats and towards the horizon was one enormous ziggurat. They got out of the car to have a brief look and saw shards of pottery on the ground. When they examined them they found they contained different languages. The name of the village? Cinar (with one of those little marks under the ‘C’ which makes the pronunciation a ‘sh’). We know Allen never went back; he is aging now and has health issues. Why don’t the Turks look at this? They have over 80,000 archaeological sites in their country to examine, and this is just one of them. 3. The third option for Shinar is in northern Africa, in the Sudan. Even today the Greek spelling of Shinar, Sennar (or Sannar), is a city between the Blue and White Nile Rivers, the capital city of the state of Sennar. To the east is a very large range of ancient mountains. At this point, everything depends on where Noah's Ark landed. The Bible says, "...and on the seventeenth day of the seventh month the ark came to rest on the mountains of Ararat." (Genesis 8:4) The presumption, and tradition, as been that this refers to Mt. Ararat in Turkey. However, this is not necessarily the case. Mt. Ararat was not given that name until 1200 AD. It is also not in a range of mountains. Mt. Ararat, in Turkey, is a volcano. Although the granite base of it, as exposed in the Ahora Gorge, is quite ancient, its heights are the result of relatively recent volcanic activity. That part of the mountain building has taken place since the time of the continental division. It is, in other words, doubtful that the Ark landed there at all. Another possibility that has been put forth involves the Zagros Mountains. They lie east of Mesopotamia. The Zagros range, however, is geologically new, and was also uplifted at the time of Peleg and the continental division. Cush was the father (this word also translates into ‘ancestor,’ ‘predecessor,’ or ‘founder’) of Nimrod, who became a mighty warrior on the earth. 3. The sons of Cush are listed in verse 7 and Nimrod is not among them. Instead, in verse 8, Cush 'begat,' or 'was the father of,' Nimrod. This simply means that Nimrod was in his family line, or that he was an ancestor of Nimrod. When we take a look at the cities Nimrod was either responsible for or conquered, it seems pretty clear these could not have all built up within two or three generations after the Flood. They may have had large families then, but that's pushing it a bit far. So our suggestion is that Nimrod and his cities were not in Mesopotamia at all at the time of Babel, but, rather, that they date from the time of the earliest Assyrian cities about the time the Ice Age was coming to an end and the Arabian Peninsula and the Mesopotamian area were no longer under water. And that leaves the "unheard of" possibility of Sennar in the Sudan as the place where men first lived after the Flood. Is this impossible? Not at all. Along the east coast of that section of Africa is a very high range of mountains which are much older than the Zagros, and date from the time of the Flood. They would have been the highest mountains around that area. The above map again shows the southern half of the supercontinent before the time of continental division as mentioned in Genesis 10:25. The red section down the east coast of Africa was being upthrust during the Flood of Noah. These were the highest mountains in the entire area after the Flood. Ararat, Cudi, the Zagros, and the other mountains often associated with Noah’s Ark’s landing had not yet formed and the areas where they are now were still under water at this time. The two following maps show the Arabian area first at about the time of Babel and then just before the continental division at the time of Peleg. This indicates that not only were the Cities of the Plain and the tower of Babel not possible in this area during any of this time, but that no migration from Babel could have taken place into this area before the division of the continents. Above is ‘late Permian’ which would have been, when dates are corrected, about 200 years after the Deluge, or at the time of Babel. All the colored area was under water. The different colors show different types of deposits. The Red Sea, at this time, was not yet formed and was dry. This second map is labeled ‘early Late Cretaceous.’ When atomic dates are corrected to orbital dates, this puts it just before the time of Peleg and the continental division. The water line has receded somewhat, but Mesopotamia is still under water. In the above map, the mountains shown just to the west of the Red Sea are the high mountains uplifted at the time of the Deluge, and the plains to the west of them are in the Sudan, where Senaar is now located. As will be seen in the study on Peleg, the settling of Mesopotamia could not have taken place until about the time of the Ice Age following the continental division. We are presenting this as an option regarding where Babel was. It makes sense in terms of what the Bible says, as well as in terms of what geology is pointing to. But this is simply an option. We do feel Nimrod, with his many cities, was someone who came a few hundred years later in time. NIV -- They said to each other, ‘Come, let’s bake bricks and bake them thoroughly.’ They used brick instead of stone, and tar for mortar. KJV -- And they said one to another, God to, let us make brick, and burn then thoroughly. And they had brick for stone, and slime had they for morter. Hebrew -- And said each one to his neighbor, Come, let us make bricks and burn thoroughly. And was to them the brick for stone, and the asphalt it was to them for mortar. 1. "Asphalt: brownish-black substance used commonly in road making, roofing, and waterproofing. Chemically, it is a natural mixture of hydrocarbons. It varies in consistency from a solid to a semisolid, has great tenacity, melts when heated, and when ignited will burn with a smoky flame leaving very little or no ash. It is found in nature in deposits called asphalt lakes. Natural asphalt was probably formed by the evaporation of petroleum." 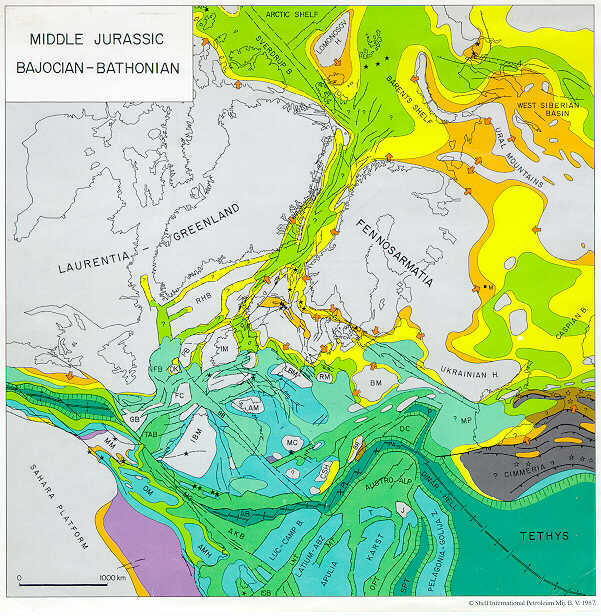 The origin of Pitch Lake is related to deep faults in connection with subduction under the Caribbean Plate related to Barbados Arc. The lake has not been studied extensively, but it is believed that the lake is at the intersection of two faults, which allows oil from a deep deposit to be forced up. The lighter elements in the oil evaporated, leaving behind the heavier asphalt. Bacterial action on the asphalt at low pressures creates petroleum in asphalt. The Chaima Indians had other ideas about how the lake was formed. After a victory over a rival tribe, the tribe got carried away with its celebration, cooking and eating the sacred hummingbirds they believed held the spirits of their ancestors. Thus, legend has it, their winged god opened up the earth and conjured up a lake of nasty pitch to swallow the entire village. Amerindian pottery has been found, along with the remains of prehistoric animals such as the mammoth and what is believed to be the tooth of a giant sloth. What is interesting in the above legend is that Pitch Lake is associated with an opening up of the earth which swallowed an entire village. This, by the way, occurred after a battle, or war, with another tribe. 3. Asphalt is not available until the water and petroleum distillates have evaporated. Two generations after the Flood is reasonable timing for this material to have become available. Did they already know what it was? There was some geological activity before the Flood when the cratons rose up, so there is the possibility of asphalt extruding before the flood, and people learning about its uses then. Earliest known civilizations used it for glue in their idols to secure in precious stones and such , for mummifying, for water-proofing ships and weapons, and similar. 4. There is evidence from the Scandinavian Countries and Russia that oil is coming up from beneath the most ancient granites in some areas in these countries. Since the granite extends down to the base of the earth's crust, these oils cannot have a biological origin. We do not know the source of the asphalt which was used by the builders of Babel. Current thought is that it was the result of the rotting of the antediluvian life forms. There is the possibility that what they were using was from much deeper, however, as, if Shinar were in Africa, they were living on a craton -- a granite block extending deep into the earth. Today in Russian and Siberia, their cratons are yielding oil when they are drilled into. Plasma theory supports this possibility, because there is a layer of carbon some way below the earth's crust, layered there when the plasma filament itself was sorting elements via ionization potential. 5. They used 'bricks for stone' -- this has two implications: First, that they built with stone before the Flood and knew how to do it. Second, that stone was not as available as they wanted it. This would have been because any loose stones/rocks from the mountain building would have washed down during that building processes and been buried in sediments. Stones, in other words, were not available in the quantities needed. It would several hundred years before they started quarrying stones for the cities and pyramids. Both the Babel catastrophe and the later division of the continents would have interrupted the technological recovery of civilization. KJV -- And they said, Go to, let us build us a city and a tower, whose top [may reach] unto heaven; and let us make us a name, lest we be scattered abroad upon the face of the whole earth. LXX -- And they said, Come, let us build to ourselves a city and tower, whose top shall be to heaven, and let us make to ourselves a name, before we are scattered abroad upon the face of all the earth. Hebrew -- And they said, come, let us build for ourselves a city and a tower with its top the heavens, and make for ourselves a name, lest we be scattered on the face of all the earth. The 'reaches to' and 'may reach' are interpreters' insertions. The Hebrew above gives the most correct translation: "its top the heavens." This is because the height was not as important as the purpose of the tower. The point of the tower may not have been its height nearly as much as its use – since most ancient known times, astronomer/astrologers were also the priests of the cultures. Did this start with Gospel in the Stars? If so, then Babel was a deep perversion and rebellion – the purpose of what may have been an observatory may ostensibly have been to determine an accurate calendar after the Flood, but would then also have been used to give power to the rebel priests. Its Sumerian name E-temen-an-ki means "House of the foundation of heaven on earth". The best description of the monumental tower can be found in a cuneiform tablet from Uruk, written in 229 BCE. It is a copy of an older text and is now in the Louvre in Paris. It states that the tower was made up of seven terraces and it gives the height of the seven stocks - 91 meters all in all. The ground floor measured 91 x 91 meters, and this is confirmed by archaeological excavations conducted by Robert Koldewey after 1913 (91,48 x 91,66 m). Large stairs were discovered at the south side of the building, where a triple gate connected the Etemenanki with the Esagila. A larger gate in the east connected the Etemenanki with the sacred procession road. Seen from the triple gate, the Etemenanki must have resembled a true "stairway to heaven", because the gates on the higher terraces seemed to be standing on top of each other. One other important point about Babel which should not be ignored is that the world had experienced an axis tilt associated with the Flood. This initiated seasons and would have changed the calendar. A number of ancient temples were constructed as observatories as well (see the Dodwell manuscript) to determine when certain days of the year occurred. It would not be out of range to assume that Babel was constructed at least partly for that purpose. NIV -- But the LORD came down to see the city and the tower that the men were building. KJV -- And the LORD came down to see the city and the tower, which the children of men builded. LXX -- And the Lord came down to see the city and the tower, which the sons of men built. Hebrew - And came down Jehovah to see the city and the tower which had built the sons of Adam. There are a few times in the Bible where the Lord 'came down.' This is quite different from the idea of the Lord walking with Adam and Eve in the Garden, talking to Noah, or discussing Sodom with Abraham. Here are the other times. It is interesting to note that the only other times the Bible mentions the LORD came down is in Genesis. All the following are in the context of the Israelites being led through the wilderness. If this is anything like what happened at Babel, then we have a massively destructive event. Valleys of the sea were exposed and the foundations of the earth laid bare. There was a blast of some kind of wind, hailstones, great bolts of lightning, earthquakes, fire.... this was not a small, local event. Also important: The word 'men' is not a complete translation. The Hebrew states that the Lord is going to see what the BEN ADAM were building: the "sons of men." In the same way that "sons of God" is defined by the Bible as being believers, "sons of men" is referenced as being unbelievers. The list of Bible references indicating this is here. This may explain why there is a Jewish tradition that it was primarily Ham's group which was affected by Babel and the language changes. If this has any validity, it would also help us understand why Hebrew has evidently remained relatively unchanged from the beginning. If Hebrew had changed, then how would Adam's tablet have been readable? KJV -- And the LORD said, Behold, the people is one, and they have all one language; and this they begin to do: and now nothing will be restrained from them, which they have imagined to do. Go to, let us go down, and there confound their language, that they may not understand one another’s speech." LXX -- And the Lord said, Behold, one race, and one lip of all, and they have begun to do this, and now nothing shall fail from them of all they may have undertaken to do. Come, and having gone down, let us there confound their tongue, that they may not understand each the voice of his neighbor. Hebrew -- And said Jehovah, See, the people is one and the lip is one to all them and this they are beginning to do; and now not will be restrained from them all which they have imagined to do. Come, let us go and mix up there their language so that not they can understand one language their neighbors. The Lord's comment here is especially interesting in view of the time in which we live now. It should also be connected with His comment that the hearts of men are inclined toward evil. And so, to slow down the spread of evil, He confounds the language at Babel. It could have been a direct miracle, but a number of bits of evidence in physics, legends, and geology indicate something rather dramatic happened which did not just affect Babel, but was connected to a worldwide catastrophe. The application of electrical current to the head of a human being often results in a partial loss of memory; also a loss of speech may be induced by the application of electrodes to specific areas of the brain. NIV -- So the LORD scattered them from there over all the earth, and they stopped building the city. KJV -- So the LORD scatterd them abroad from thence upon the face of all the earth: and they left off to build the city. LXX -- And the Lord scattered them thence over the face of all the earth, and they left off building the city and the tower. Hebrew -- And scattered Jehovah them from there, over the face of all the earth; and they ceased from building the city. Although the three Masoretic-based translations only mention ceasing building the city, the more ancient LXX also mentions that the tower was unfinished. NIV -- That is why it was called Babel – because there the LORD confused the language of the whole world. From there the LORD scattered them over the face of the whole earth. KJV -- Therefore is the name of it called Babel; because the LORD did there confound the language of all the earth: and from thence did the Lord scatter them abroad upon the face of all the earth. LXX -- On this account its name was called Confusion, because there the Lord confounded the languages of all the earth, and thence the Lord scattered them upon the face of all the earth. Hebrew -- Therefore was called its name Babel, because there mixed up Jehovah the speech of all the earth and from there scattered Jehovah them abroad on the face of all the earth. What is interesting here is to look at the meanings of some of the words and to also look into some linguistics and old legends/myths. The people are scattered. That word is hephaitz. In the Greek that becomes hephaizt – and Hephaistos is another name for Vulcan, “The father of the gods” in Egypt. In Greek and Roman mythology he is the god of fire, including volcanoes. Cush was the son of Ham, which also comes down as Herm, and therefore Cush was Herm-es. The 'es' ending means 'out of' or 'son of.' In mythology, Hermes is also Mercury. Hermes was seen in pagan mythologies as being the author of their religious rites. Ham = Her and also Khem, meaning ‘the burnt one’ “Her” also means the hot, or burning one. This may be an identification with the sun god and thus the beginning of what we consider pagan mythologies -- or what would have been considered among the believers of the time as the Great Apostacy. "Her" is also Horus, who is identified with the sun. What is interesting is that "Jove" appeared to have been a shortened form of Jehovah, not originally Jupiter. Jeremiah 50:2: Bel is confounded (KJV) is a play on words. The confounder is confounded. “Merodach” is “the Great Rebel” and so the two are identified as one in this verse. Cush appears to be the Great Rebel and the Confounder. Evidence from a number of sources indicates that many of the figures in Greek and Roman mythologies began as the first and second generation of Hamites after the Flood. A few years ago, we wrote, "We don't know! But, looking at the ancient stories as well as the geology of the time, we might be closing in a bit." Pieces in physics and astronomy are starting to come together rapidly now, although most of the people doing the research have no idea they are helping pin down what happened at Babel. First, "the Lord came down." As stated above, this was not a casual visit considering those terms used. Second, the ancient legends also indicate something catastrophic. There seems to be a recurring theme which involves an electric shock as well as extraordinarily fierce winds. Third, when we look at the time -- when atomic time is corrected to orbital time -- and the related geology is examined, we also find evidence of a massive catastrophe. There is a 300 mile-wide crater in Antarctica which dates from this time. What happened as a result of the impact, however, was much more enormous. It resulted in the outpouring of something called the "Siberian Traps." The Siberian Traps are a series of outpourings of basalt from the interior of the earth -- about THREE MILLION CUBIC MILES of the stuff -- which came up in layers, forming a series of steps. The word 'traps' means 'steps.' The map below shows the extent of their coverage over land. What you don't see is that about a third more is covered by the northern waters. Geologically, there is other evidence of something very big happening at this time. A massive downwarping, or sinking, of a giant trough across what would become Europe and into eastern North America occurred. The blue finger of water separating Laurussia (Lurasia) and Gondwana in the upper map shows where the downwarping occurred. Today this is a giant coal seam stretching across Europe, with a break at the Atlantic Ocean, and then into North America. The coal is the result of massive amounts of vegetation being washed into the downwarped area with the waters that came rushing in as well as the landslides into the area, which would have buried immense amounts of material as well as resulting in the tree trunks which show they have been torn up by the roots and deposited in such a way as to extend through several series of strata. The lower map shows where areas of deposition were occurring, and thus where we find fossils of the flora and fauna of this time. There was additional downwarping between the Siberian area and the mainland of Laurussia -- and there is coal found there today, as well. Below is a good picture of a tree that is fossilized, extending through a series of strata. The tear at the base shows it was deposited there after being torn up. It did not grow there with layers slowly encompassing it! Thus we have evidence of some kind of world-wide catastrophe at the time of Babel. The possible asteroid impact of the size which would create a 300 mile wide crater could certainly have set off volcanoes in various areas and the winds from these could have been quite fierce, but there is something else which might have occurred. Look at something that happened in 1908 in Tunguska, Russia. There was some kind of explosion in the sky, heard for hundreds of miles, and trees many miles away were blown flat. But no evidence of any meteor or asteroid was ever found; and there is no crater. There is a possibility here which may have connection with Babel. Every planet has an ionosphere/plasma sphere enveloping it. Jupiter's, for instance, ranges from 3-7 million miles across. These ionospheres stretch out behind each planet, away from the sun, like a giant wind sock. Earlier in the history of our solar system, these plasma spheres were more highly charged than today and, if ancient stories are to be believed at all, may well have been in glow mode (we see glow mode with the auroras today). The strength of the glow -- it's brightness -- would have depended upon its distance from the sun: the further away, the brighter the ionosphere. The glow may well have been concentrated at the poles of each planet, as well, as implied by the illustration above. If a planet were to pass directly between the sun and another planet, so that its tail came in contact with the plasma sphere of the other planet, an electric discharge may well have happened. This would have been devastating in at least a local area, much like the Tunguska explosion. Was Tunguska the result of a late (in the history of our earth) electric discharge? Venus was between the sun and us at that time and Venus was at a very close approach to the earth. Electric shocks change language centers. We know that. Is it possible that Babel involved something like this? We can see the wind's effect at Tunguska, as in the picture above. Stories from other places talk about a wind that blew the Tower of Babel either apart or over. Since it was a massive ziggurat, that must have been a wind far out of the normal. If there was a discharge, is that what caused the crater in Antarctica? If it was a meteor strike, we know electric discharges can accompany them. There is growing evidence of electrical 'machining' which created many of the features on other planets as well as on earth. Electric discharges can leave remarkable evidence in the surfaces they hit. It's something to think about where Babel is concerned. One thing which the data points to is that the time of Babel ties in exactly with the time of the Permian Extinction geologically when atomic time is mathematically corrected to orbital time. The actual dates can be seen in "Time, Life and Man."